There’s a reason food is such a central part of our lives and memories. Smelling something roasting in the oven just like mom used to make, or tasting pie that reminds you of your grandma…those are the warm and fuzzy memories that make us smile. One food memory that I have when you say the words “BBQ” is the wedding we went to near Waco, Texas for my cousin. 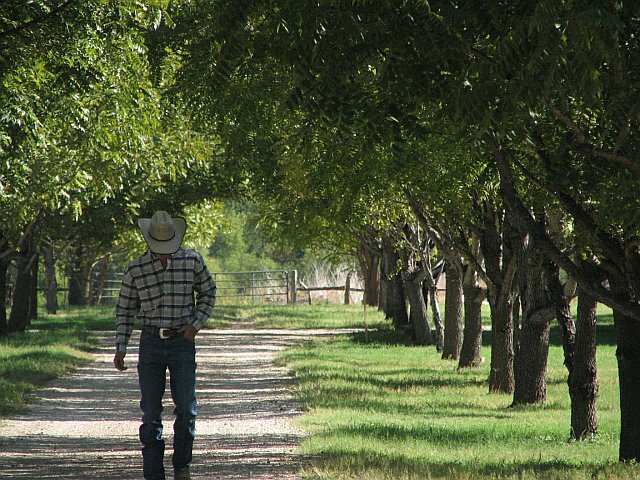 We stayed at a dude ranch that was so unique and so memorable and the food was so delicious, it’s hard not to daydream about it when I smell some good grilled meat. Michael and I went out to dinner on a spur of the moment thing. We’d been trying to eat out less for awhile but he came home and said, “I think I found a BBQ place” and I said sure why not. See, it’s been AGES since I had BBQ. Austin, Texas was actually the last time. Too long ago. But I can’t go to Texas every time I crave BBQ. We were both skeptical of the BBQ. Sorry, but it’s true. I haven’t really had excellent BBQ food outside of Texas. 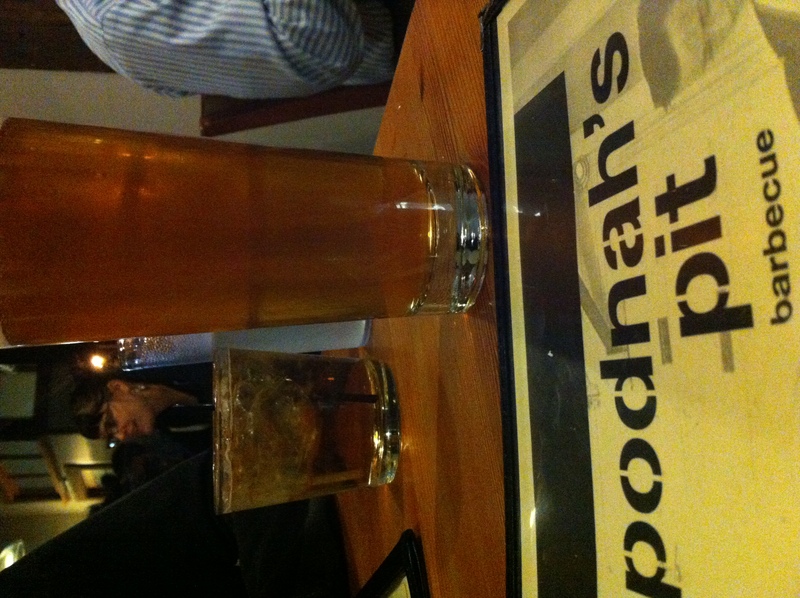 Podnah’s Pit has had rave reviews about it and the reviews were right. In 2011 it was voted the best restaurant of the year. Why it hasn’t been on my radar since then is beyond me. The restaurant itself is large and leaning more towards the yuppie-hipster-Portland restaurant than a typical BBQ joint but it was comfortable inside. Lots of big windows, concrete floors, minimalist interiors and picnic-bench style tables. Upscale for sure. The chef gets up at 5 a.m. every day to start the grill. The meat is slow cooked in 100% oak hardwood–no gas, electric grill or charcoal BBQ here. 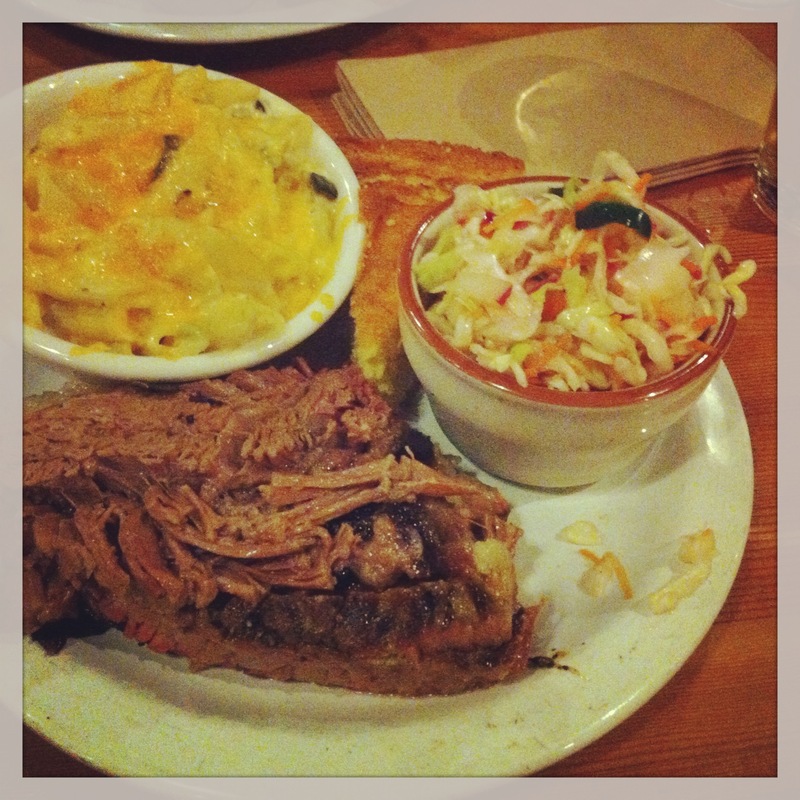 The thing is, there’s nothing that even comes close to Franklin’s BBQ. Franklin’s, the only place on the planet I’ll stand in line for 90 minutes to guarantee I get food. Franklin’s is the place I dream about. It’s the food that happy memories are made of. So we both went in to Podnah’s not expecting much. First, they had Shiner on the beer menu. Michael had to laugh at that because we’ve never seen Shiner on tap anywhere in Oregon. Not that it’s good beer or what we want, but it was funny. Second, the options on the menu were simple but mouth-watering. We both ended up getting the brisket. I mean, come on, the brisket is where they’d either shine or FAIL. It came with cornbread and two sides. I ordered the coleslaw and the mac n’cheese. Michael got coleslaw and black-eyed peas. I got a Double Mountain Hop Lava IPA which went so well with the food! Dinner came out quickly and I was dying of anticipation. Seeing what other people ordered got my hopes up that we were in store for a treat. The brisket: amazing. It was falling apart. No knife needed. It was thick and juicy and soft, black and fatty and bursting with flavor. The homemade BBQ sauce I added on top was great–tangy and sweet. The coleslaw: the best I’ve ever had. I have no idea what they did to make it so good but I’ve never had better. In fact, it was better than Franklin’s! It had a vinegar base instead of mayo and it was so flavorful and crunchy and that tart flavor went so well with the brisket. The black-eyed peas: Michael wasn’t a fan because it wasn’t what he was expecting/remembered from his childhood in Texas. The peas were cold and I think he wanted them hot. I had a few bites and enjoyed it a lot. I think they had some mint mixed in the pea salad. The cornbread: It was okay. I like softer, more moist cornbread and it was on the dry side. But maybe that’s traditional? Not sure. Michael loved the cornbread and put honey on it to make it even better. I ate a little more than half of my entree and was ecstatic that I had leftovers for lunch so I could relive the whole meal experience! 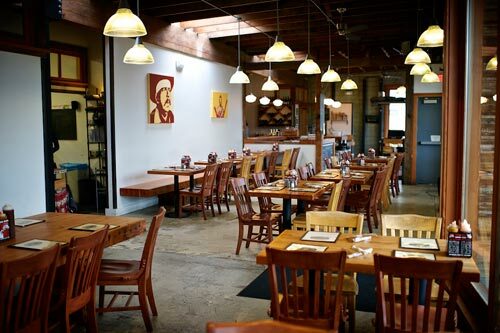 The bottom line: one of the best meals I’ve had in Portland. It’s a very, very close second to Franklin’s BBQ. I think we’ve discovered a gem that we don’t have to go to Texas for! We even talked about finding out if we can do the rehearsal dinner there! I’m already thinking about when we can go back to eat there again. As Michael and I went home we both talked about the food, raving, reliving the details and flavors that we loved. Both of us blown away. We actually found GOOD BBQ in Oregon! HURRAY! 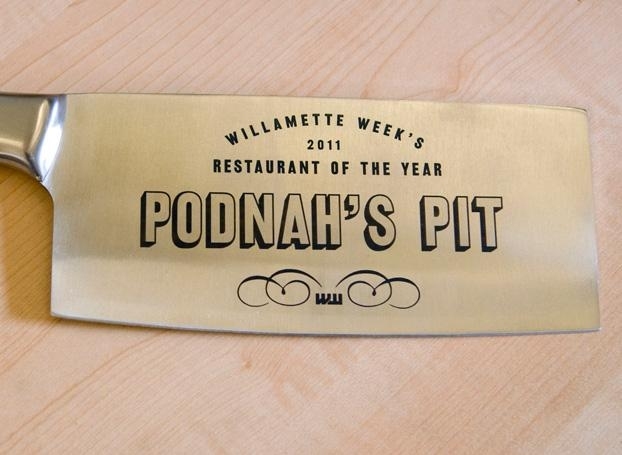 Run, don’t walk, to Podnah’s and get some of that food! That sounds AWESOME!! I love some good BBQ. I dream about a place I went in San Diego called Phil’s BBQ. We were out there on our honeymoon and I had seen them on Diners, Drive-Ins and Dives once (we made a list of places out there we saw on TV). They did NOT disappoint. I got what I saw on the show – the El Toro – which was a tri-tip sandwich. It was so chock full of meat that I had enough for 2 sandwiches! Btw, another great place in San Diego was Hodad’s – great burger joint. My mouth is watering hearing about that place! Isn’t it awesome when you find something so great the memory stays with you for years? Have you been back to that BBQ place since the honeymoon? Unfortunately not! We don’t tend to get to take a lot of vacations (due to budgetary restrictions) so who knows the next time we’ll get to CA (we live in RI). We actually could only afford that trip (2 years after our wedding!) because one of our wedding gifts were the plane tickets. I love memories like that, definitely! That’s a nice wedding gift!!! I’m not a fan of barbecue, but I still think that place looks good! They had other stuff on the menu–like fish and sausage and chicken. They also had brunch! Now that sounds awesome! My husband keeps bugging me about going to try this place! Glad to hear it is so good! GO!!!! Hurry! It’s so good! You’ll wonder why you didn’t go sooner. I am! 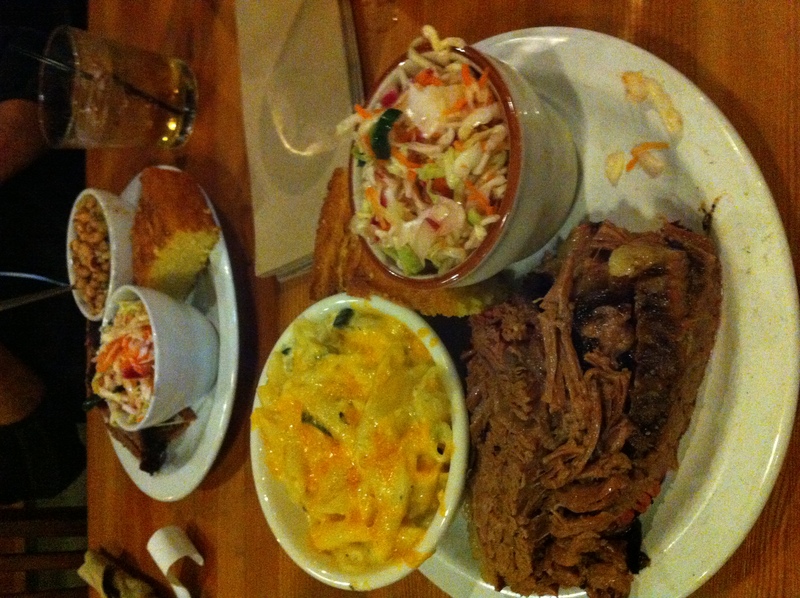 The best BBQ I have ever had was in Nashville at Jack’s BBQ. It almost made us cry. We couldn’t even speak to each other while we were eating. It doesn’t compare to anything we’ve had in Chicago. Granted we’ve never been to Texas but I’ve heard a lot about Franklin’s!